Glamorgan kept their hopes of a semi-final place in the Yorkshire Bank 40 alive with this 68 run victory over Leicestershire in Swansea. 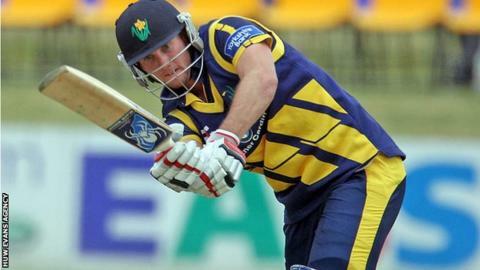 Chris Cooke scored 85 runs with the bat in Glamorgan's 303 for six. While Jim Allenby was Glamorgan's best bowler with figures of 3-37 off his eight overs. Niall O'Brien scored 92 runs for Leicestershire, but it was not enough to stop Glamorgan get the victory they needed. The Welsh county now need to beat Yorkshire at Headingly on Tuesday to stand any chance of reaching the last four of the tournament.